Hundreds of pounds have been raised by the University of Chichester for the city’s foodbank to help feed children and families facing crisis. 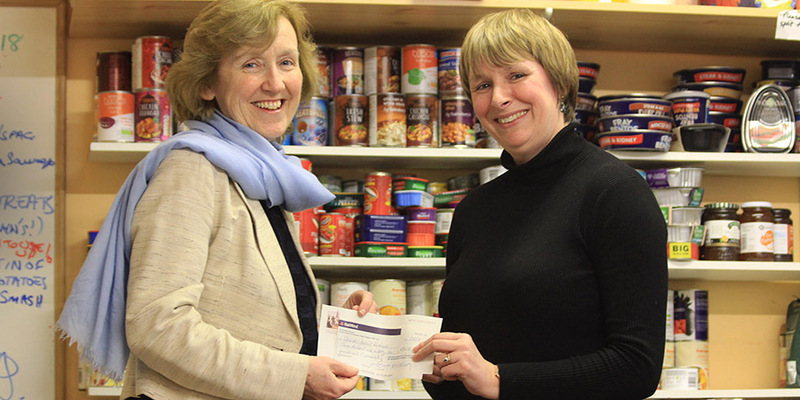 More than £350 was given to the Chichester charity from donations collected at the annual Christmas carol service. The foodbank, based in Orchard Street, feeds around 2,000 people each year in the city centre and across rural locations in Selsey, Midhurst, and Petworth. The charity was established by Joanne Kondabeka as a part-time project in 2012 but has grown in recent years due to high demand. She said: “On average we feed about 30 people a week but rely totally on the public for funding and food donations. The Christmas carol service included choirs and orchestras from the University and was hosted at Chichester Cathedral in December. The foodbank, which is run by volunteers, helps people facing hardship by providing up to three food parcels within a six-month time period. To find out more about the Chichester foodbank visit their website. Alternatively for more about how the University of Chichester supports charities and other good causes in the region explore our About Us pages.